Though portable media players such as iPods, mp3 players, smartphones and more have been around for some time now, they’re still widely coveted, with many new models and variations entering the market regularly. That said, while portable media players include any device capable of handling digital media, mp3 players are specifically classified as digital audio players, owing to their ‘audio-only’ ability. So, if you’re in the market for the best mp3 player, it’s a good idea to thoroughly research and look into all the potential options, taking budget and traits into equal account. Imagine how much more bearable your everyday commute would be with an extensive library of high-quality music at your fingertips wherever you go? You can also look forward to useful additional features such as FM Radio, audio recording, and audio books, making it a useful 21st-century device. 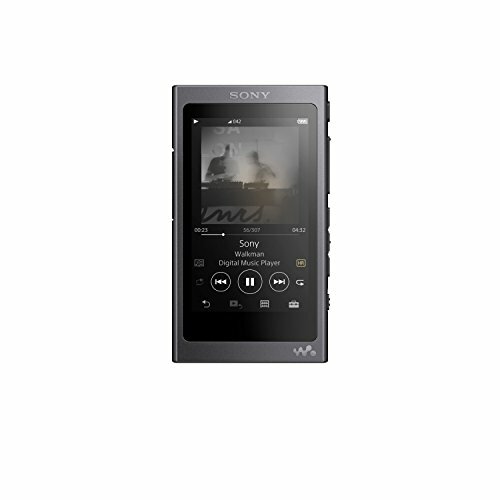 We’re here to help you select the best mp3 player for your needs. We know how exhausting and tiresome it can be to try and do this on your own, especially if you don’t have much knowledge about the subject at all. If you are someone who demands the very best in audio quality, you’ll be incredibly pleased with what this mp3 player has to offer. Thanks to the Hi-Res Audio, you can enjoy a truly authentic sound while the S-Master HX digital amplifier reduces distortion and noise. Now, as you know, most music files need to be compressed these days in order to fit onto a music player. When this happens, unfortunately, quite a bit of sound quality is lost. With this Walkman, however, DSEE H upscaling restores quality to these files. Therefore, you will be able to listen to your favorite songs in their best form. Also with 16GB of memory, you can store as many songs as you like. If you do need more memory space, though, there is a slot where a Micro SD card can be added without any problem. To top this off, you can easily listen to your entire playlist without any interruption as the battery on the mp3 player can last up to 45 hours. Thanks to the Bluetooth connectivity, you’ll be able to listen to music however you like, and with a data transfer rate up to 990 kbps, the connection is excellent. Your listening experience is further improved by the Ambient Sound Mode which ensures that you hear noises in your environment as well. The only real complaint regarding this player is that the associated program isn’t very good and can be problematic to use. While there is no denying that swimming is a great exercise, it can also be a rather isolating activity. Well, this doesn’t need to be the case any longer with this mp3 player. The music player lives up to IPX-8 standards which means that it will continue to play music even when submerged up to 10 feet in water. So, if you are an avid swimmer, this can live up your typical pool environment without any issue at all. However, what is really remarkable about this player is how good the sound quality is, even when you are underwater. You will not have to put up with any distortion or noise of any kind. 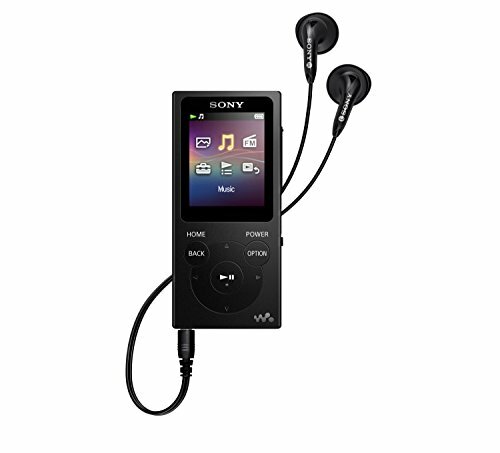 To add to this, the mp3 player has 8GB of memory storage which means that you can store up to 2000 songs, easily. The music player supports both mp3 and WMA audio formats. You will also find that it is compatible with most computers as it relies on USB plug-and-play technology. 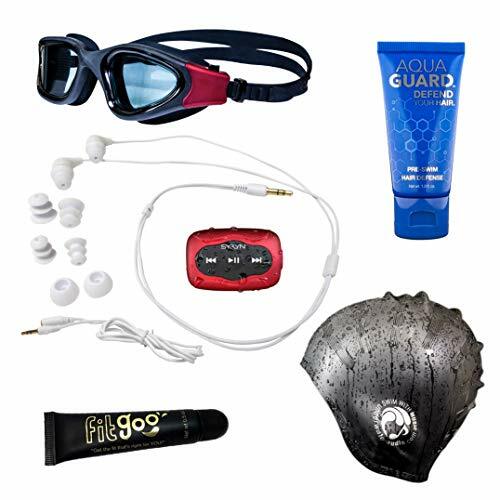 This mp3 player is very lightweight and is equipped with a clip that makes it easy to attach to your goggles while you swim. The only real point of contention with this music player is the settings. On the one hand, they are very simplistic. This is useful because while you swim, you can change the settings rather easily. However, since all the buttons have dual functions, you might accidentally trigger the wrong setting at the wrong time. 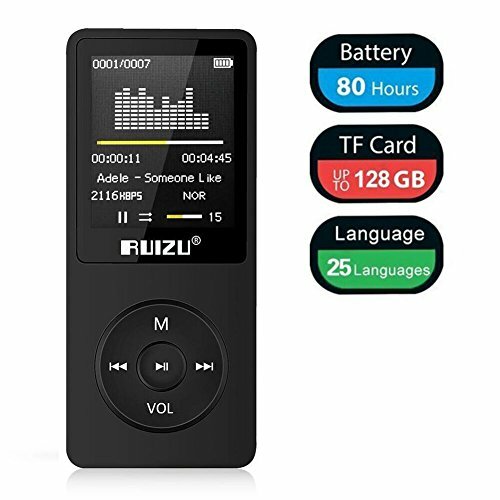 If you are looking for a low-priced mp3 player that also offers great sound quality, this is definitely the music player for you. This is largely because the player is equipped with a digital noise reduction chip. This means that you get to enjoy a high sound sampling rate, reduced noise, and a hi-fi class sound. Furthermore, the player supports a number of different formats including mp3, WMA, WAV, APE, and FLAC. This makes it a good option for anyone to use. This player also offers 8GB of storage which, in turn, lets you store around 2000 songs on your player. If you want to, you can expand on this storage up to 125GB by adding a Micro SD card. The battery on the device is also excellent and provides you with up to 80 hours of listening time on full charge. What’s more, it only takes 2 to 3 hours to completely re-charge the player as well. The mp3 player is also equipped with a built-in radio function so that you can tune into your favorite channels, wherever you go. The only real downside with this device is that it isn’t user-friendly. The buttons and settings aren’t intuitive and can be quite tricky to use. There really is a lot to like about this compact music player. Regardless of the kind of music you like, you are sure to enjoy your listening experience. Now, part of this is due to the Dynamic Normalizer function on the device. When you are listening to songs in shuffle mode, the volume will be automatically moderated between songs. This way, there won’t be any sudden, jarring noises while skipping from one song to another. The device is also playlist compatible which means that you can easily access the playlists you created on your computer and on your mp3 player as well. This music player has a number of additional features to enjoy as well. For instance, you can store and view pictures, and fiddle around with the clock and alarm settings. Although this is a rather compact device, it packs quite a punch in terms of storage memory. It offers 16GB in storage for both music and pictures. The minor issue is that the buttons are overly sensitive which means that adjusting the songs and settings can be rather tricky. Last but not least, this mp3 player lets you play music for up to 35 hours and only needs to be charged for around 2 hours after this. If you want an mp3 player that does so much more than just play music, then the iPod Touch is the device for you. The first thing you will notice when listening to tracks on this mp3 player is how good the sound quality is. This isn’t just due to the engineering of the player but also owing to the highly recommended Apple EarPods that come with the mp3 player. The player also accepts AAC, MP3, AIFF, and WAV formats. Of course, what really puts this mp3 player ahead of the pack is that it has more than just sound features to offer. You can also watch videos, play games, and access a number of different apps. To add to this, the device is equipped with a 5MP camera that can take still images as well as record videos. All of this is possible because you have 32GB at your disposal. The only downside is that the app already comes with a number of built-in apps. Many of these aren’t actually required and therefore take up space unnecessarily on your mp3 player. The battery life on the device is also quite excellent. When just listening to music, it can last up to 40 hours. While watching videos, you will find that it provides you with around 8 hours of viewing time. While there’s nothing supremely complicated about buying an mp3 players, interested buyers like you should be vigilant about the screening process nonetheless. There are a lot to consider, including battery life, playback time, technical compatibility, durability, and portability of course. Those who want video, e-book, and picture-viewing facilities as well should also make it a point to keep their eyes peeled for these functionalities. These are just the core features that players should have. Just like a computer, devices which hold information like mp3 players, in this instance, come with what’s known as internal storage. This is used to hold your songs, e-books, videos, pictures and recordings; you can easily find out what an mp3 player’s storage capacity is. Some players can run up to 256GB, though this is rare. When a portable music player is in question, battery life becomes a pressing problem and a critical issue. You want to be sure that your mp3 player will last you as long as possible at all times. Battery life on an mp3 player can vary from device to device and is mainly dependent on the quality of the battery at the time of purchase. Over time, your charging habits come into play. Overnight charging is a no-no. The battery should also only be charged with the provided cable. Though this isn’t much use for listening to music, when it comes to videos and images, the display is naturally an important element. One of the reasons people tend to get confused with this is because there are so many options when it comes to the display. Some of these include Touch Screen, Multi-Touch Retina Display and Color Displays. Which of these you opt for is entirely a subjective decision that’s up to you. If you ask us, the most important things to look for when shopping for an mp3 player is the battery life and storage capacity. Battery: The last thing you want is your mp3 player dying out on you when you least expect it. So full playback time after a full charge is a feature you must look into. Storage: Be sure that you can store all your music and videos comfortably. Display: Additionally, the quality and size of the display must also be taken into account. Authenticity: Be mindful of fakes, and always check for proof with the seller. Reviews: Good reviews are usually signs of a well-doing and high-selling product. Comfort: Go for ergonomics and make it a priority. Warranty: Warranty would always be a better option. Make note that whilst some mp3 players include cameras in their features, these are the more expensive ones. So if you are opting for something pricier, the camera is another spec you might want to look into. And last but not least, WIFI connectivity and capability, of course. In this day and age, WIFI is as common and necessary as air in some ways, so this is another important element to watch out for. To sum up, when you’re in the market for an mp3 player, you need to look into a host of things like the make, model, usability and storage space. As mentioned above, there is a multitude of options available out there, ranging in functionality and price, so weigh everything out carefully. Keep an eye out for deals and offers as well. You may be able to snag a great option for less. Remember, what suits one person won’t necessarily suit you. The best mp3 player is, after all, one that matches your needs and requirements, not anyone else’s. What’re you waiting for? Let’s go get you that mp3 player!